Crete (gr: Κρήτη ) is the largest Greek island and the fifth largest island in the Mediterranean. In spite of the strong ties that connect Crete with continental Greece, this island has retained its separate language dialect and local cultural traditions up to the present day. The distinction should also be expressed by the fact that the majority of the inhabitants asked for their descent will in the first place say that they are Cretans, and only then will they describe themselves as Greeks. As a result of the administrative reform in 1987, Crete was separated as one of the 13 regions of Greece. Another administrative reform carried out in 2011 reduced the number of regions to 7, however, the status of Crete remained as a separate region. The island's largest city is Heraklion, which also serves as the capital. Crete is divided into four nomosos (prefectures): Chania, Rethymno, Heraklion and Lasithi (with the capital in Agios Nikolaos). Stavros Arnaoutakis (Panhelle Socialist Movement) has been the governor of this region since January 2011. Since the beginning of 2002, Greece has been in the Eurozone and therefore the obligatory monetary unit in the country is 1 € (dividing into 100 cents). The entire operation of the Greek currency exchange ended on July 1, 2002, when the drachma was completely withdrawn from the market. The exchange rate for 1 € was 370 Greek drachma. In the case of larger commercial outlets, there should be no problems with payment by credit or payment cards. In the case of smaller outlets, it is always worth checking whether the store has a terminal that supports the type of card we have. The most popular banks operating in Greece are: Alpha Bank, ATEbank, Attica Bank, Citibank, EFG Eurobank Ergasias, Emporiki Bank, First Business Bank, Geniki Bank, Hellenic Bank, HSBC, HypoVereinsbank, Marfin Egnatia Bank, Millennium Bank, National Bank of Greece , Piraeus Bank, Probank, Proton Bank, T Bank, TT Hellenic Postbank. In larger cities and popular tourist resorts, you can also find exchange offices where you can easily exchange your buck or other foreign currency. Crete is situated at the interface of two climate zones: the Mediterranean and North Africa with a definite predominance of the influence of the first of these zones. The dominant climate is moderate. Depending on the proximity of the sea, the air may have very high humidity. Winters are usually mild, however in the mountains snowfalls are normal and occur from November to May. In the areas located below, snowfall is very sporadic. Near the coast, the snow usually does not last longer than a few hours. In the summer, the average air temperature is around 20-30'C, with maximum values ​​in the range of 35-40'C. Far more hot areas of Crete are the southern ends of the island under the stronger influence of the North African climate. It is not surprising, therefore, that in this region date palms bear fruit and the swallows living here do not migrate to Africa in winter. The height of temperatures that are noted in this part of Crete may indicate that the city of Ierapetra here boasts the warmest city in Europe (average annual temperature over 20'C and over 3,000 sunny hours). The current time zone in Crete is UTC (Universal Time Clock) + 2 hours in zimiei UTC + 3 hours in the summer. In relation to the time in force in Poland, this is a shift of one hour. It is worth taking this fact into account when considering the arrival and departure times, which are usually given according to local time. Sitia Airport (Runway with a length of about 2km, mainly used for local traffic). The construction of a new international airport in Kastelli (next to the already existing military airport) has also been under consideration for a long time. Due to the problems with financing, and thus also the problems with obtaining funding from the European Union, this investment is only in the sphere of far-reaching plans. When planning your stay in Crete, you can choose from offers of various types of guesthouses, private accommodation, as well as a very rich hotel base, which is located on this island. The vast majority of hotels are located in towns along the northern coast of Crete. Depending on the cost of the day, hotels offer a very diverse range and quality of services. Tourists can choose among the offers of cheap, simple two-star hotels, as well as among the much more expensive big five-star "self-sufficient spa" SPA, which also offer many additional attractions in the price of the hotel day. At the moment, the offer is so diverse that practically every tourist should be able to choose a hotel that will meet his requirements - of course, taking into account the wealth of the portfolio. 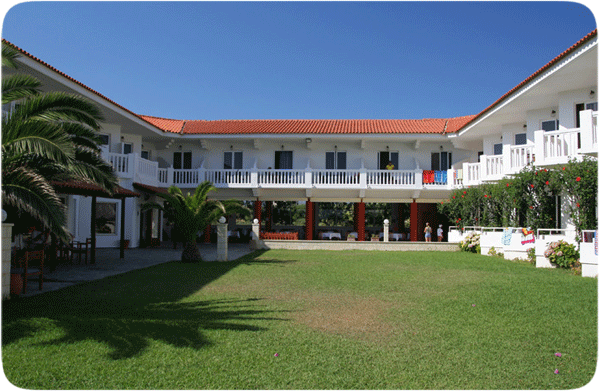 Hotel Chryssana - Greek category B +, equivalent to over three stars. People who plan an individual stay in Crete during the holiday season should look for and book accommodation in advance. In a large part of popular cities finding free rooms in such months as July or August can be a very difficult task. One of the more convenient ways to solve this problem is to use the accommodation search engine. Tourists planning active sightseeing, combined with accommodation in many places can also reach for the offer of renting single rooms or small apartments. From May 1, 2004, citizens of the Republic of Poland shall enjoy the right to free movement of persons within the European Union / European Economic Area. Travel document entitling to visa-free entry and stay (regardless of its purpose) on the territory of the Hellenic Republic up to 90 dnand there is a passport or ID card. In practice, taking this last document definitely has the most sense, if only because of its size and durability. Taking an ID card with you also has an additional advantage, namely we do not risk losing a passport, which since the time of Poland's entry into the group of EU member states has significantly gained on black market value. The website contains a description of the factors affecting the number of stars awarded by EOT to individual hotels. The current hotel rating system in Greece is based on four basic categories, which in the descending order (from the best to the weakest category) represent the letters L, A, B and C. The Greek way of assessment is characterized by a wide variation in the quality of rooms in hotels in the same category EOT. A large discrepancy results from the award of a large number of component points for the assessment of public space, i.e. reception, waiting room or swimming pool. Travel by plane is by far the fastest way to get to Crete. Depending on the city from which the plane takes off, the flight takes about 2.5 to about 3 hours. On this page you will find information on how to prepare for the check-in and security procedure. When in 2008 we went to Crete for the first time, we did not think that this island would enter our life so much, changing it even from the kitchen. Since then, along its roads, we have driven a total of over 6.5 thousand kilometers, we went several dozen kilometers on footpaths and visited several places using local public transport. Over the two months that we spent together in this cradle of civilization, we traveled this island along the length and breadth of sightseeing not only the most famous and described places in guidebooks, but also those mentioned by only a few sources.